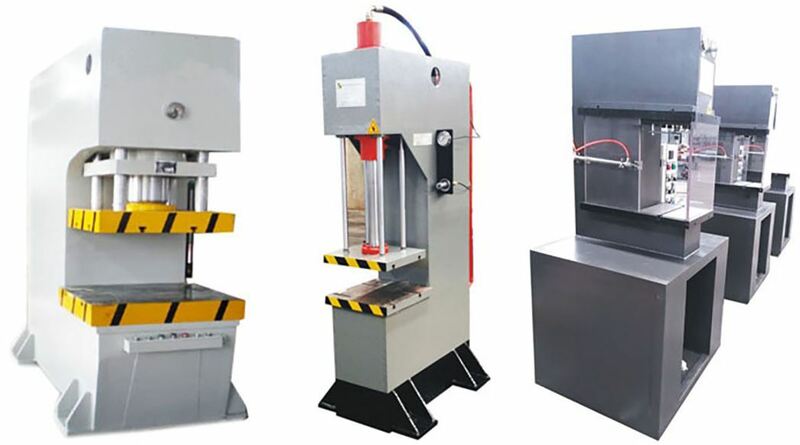 Single-column hydraulic press, C Frame Hydraulic Press, the fuselage is C-type single-arm structure, submerged arc welding, vibration treatment after welding to ensure the degree of deformation of the fuselage. The hydraulic system is located inside the fuselage, which is beautiful in appearance and easy to operate. It is mainly used in the process of stretching, forming and pressing metal products. 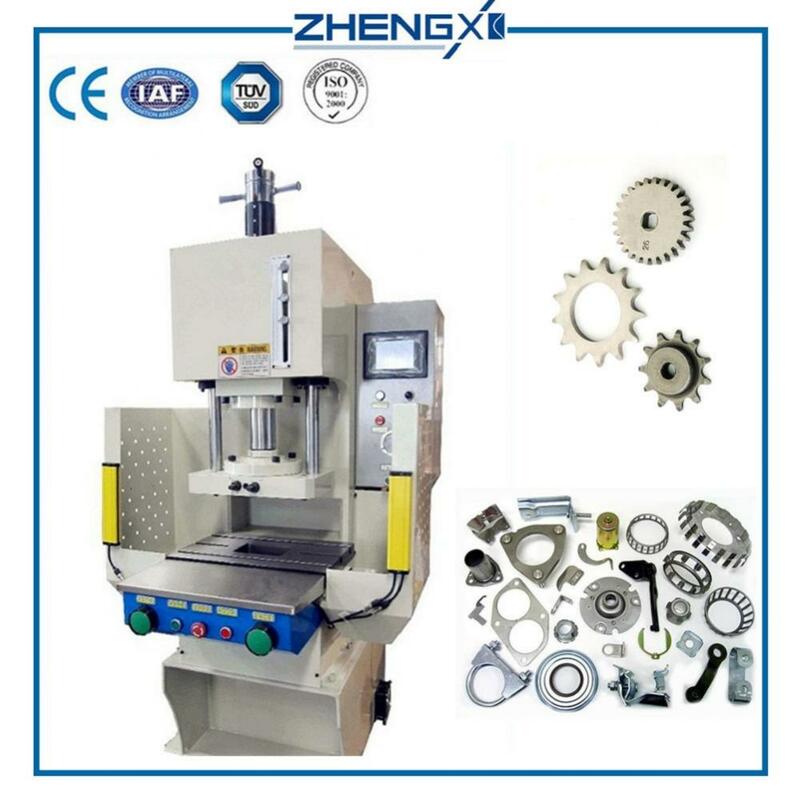 It can also process non-metallic materials, pressing of powder metallurgy products, correction of shaft parts, press-fit of sleeve parts, and shaping and trimming of metal products. This series of presses is equipped with independent hydraulic and electrical control system. It adopts centralized control of buttons, which can realize two kinds of forming processes: fixed pressure and constant pressure. It has functions of pressure display, stroke and pressure adjustment. And the series has four-column guide column guide to improve product accuracy, and the column and piston rod are quenched after copper plating and hard chrome to ensure the surface wear resistance and high roughness. The oil pump inlet is equipped with unique filtration. The device ensures the service life of the oil pump and valve. The oil connection is made of imported high-pressure hose, which greatly reduces the noise of the machine. In addition, according to user requirements, additional components such as imported PLC, grating protection and human-machine interface (touch screen) can be configured. For the special requirements of customers, we can design and produce specially to meet the requirements of customers' production process. The working medium used in the single-column hydraulic press not only transmits the pressure but also ensures that the working parts of the machine work sensitively, reliably, with long life and less leakage. 1. It has the characteristics of good structural rigidity, good guiding performance and fast speed. 3.l The solid welded open structure allows the fuselage to be rigid enough to have the most convenient operating space. Looking for ideal C Frame Hand Press Manufacturer & supplier ? We have a wide selection at great prices to help you get creative. All the C Frame Hydraulic Forging Presses are quality guaranteed. We are China Origin Factory of C Frame Hydraulic Press. If you have any question, please feel free to contact us.